Members of the Duncan Chamber of Commerce are entitled to receive exclusive eyecare offers from IRIS. These benefits are combinable with your existing extended health plan. Registration takes only a few minutes. There is no cost to register, and offers are combinable with your extended health coverage. Offers apply to your family members, employees and their family members (family members must be in the same household). To register go to www.iris.ca/benefits and select "Click here to register now". 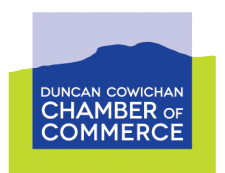 Choose Duncan Chamber of Commerce from the drop down menu, select the number of people you are registering, complete the form and submit. You will receive your personalized offers by email. $25 IRIS Certificate, redeemable towards the purchase of 3 or more bottles of Eye Omega Benefits (240 Softgels size). $10 IRIS Certificate, redeemable towards the purchase of a pair of non-prescription glasses with Blue Light Filtration. These benefits can be used for multiple purchases. These benefits cannot be combined with any other IRIS promotions. These benefits cannot be used towards services such as Eye Examinations. A current prescription (not more than 24 months old) must be provided for the purchase of prescription eyewear. If your prescription is older than 24 months, you will need to make an appointment with your Optometrist, or with an IRIS Optometrist for a complete eye examination.